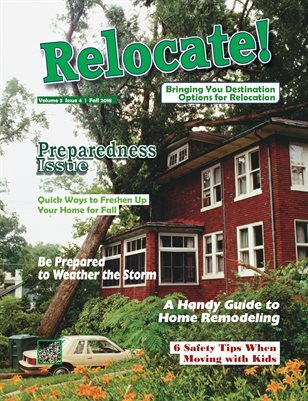 Since our launch issue was published September 2015, Publish In Paradise, publisher of Relocate! Magazine and other titles, has relocated to Ketchikan, Alaska. And this time, we are staking a tent peg into the ground and staying put! Publish in Paradise had some relocation experiences of our own in 2015, like a whirlwind, moving from our initial place where the business was established in Key West, Florida, then on to Helena, Montana, then to Juneau, Alaska, where we intended to remain, but the whirlwind picked us up again and moved us back "home" to the beautiful town of Ketchikan, Alaska. Even though the whirlwind was quite challenging, with all the packing, moving, unpacking, and then packing up and moving again that goes along with following that whirlwind, we are happy to finally be home and established in beautiful Alaska.